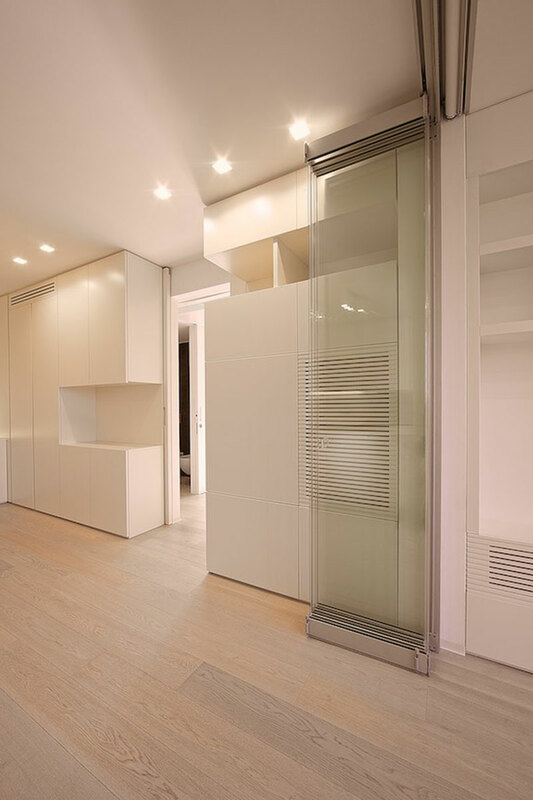 Apartament, Rome - Sammarro Architecture Studio. All the furnishings including the kitchen have been custom designed. 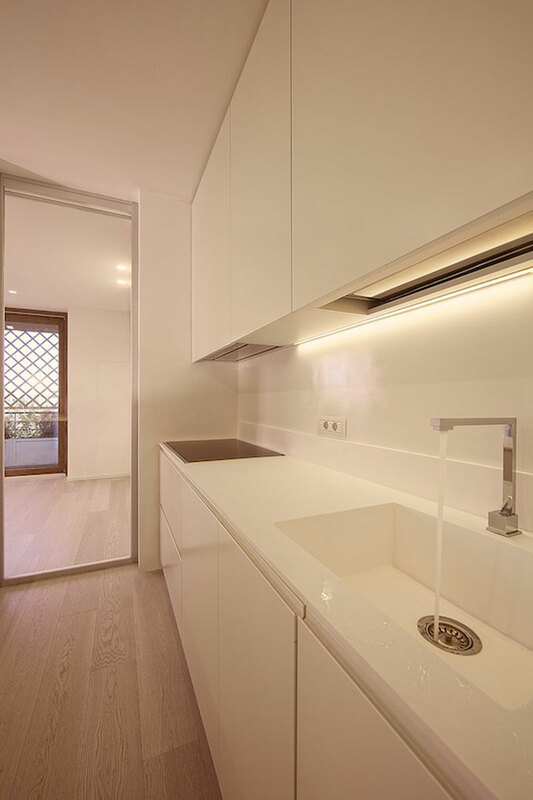 Important the glass wall that defines the spaces and becomes a characterizing element of the environment. From the entrance to the living room the open environment is organized and furnished taking advantage of the walls in height; the essential and regular furnishing emphasizes the modern character of the living room. 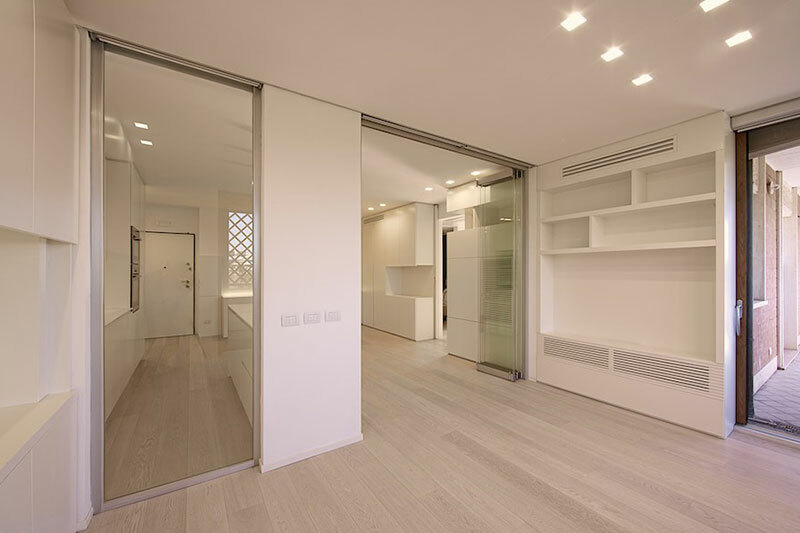 The choice (a-chromatic) of white for most of the large furniture is motivated by the need to enhance the natural brightness and warm tone of the parquet, which is natural oak. 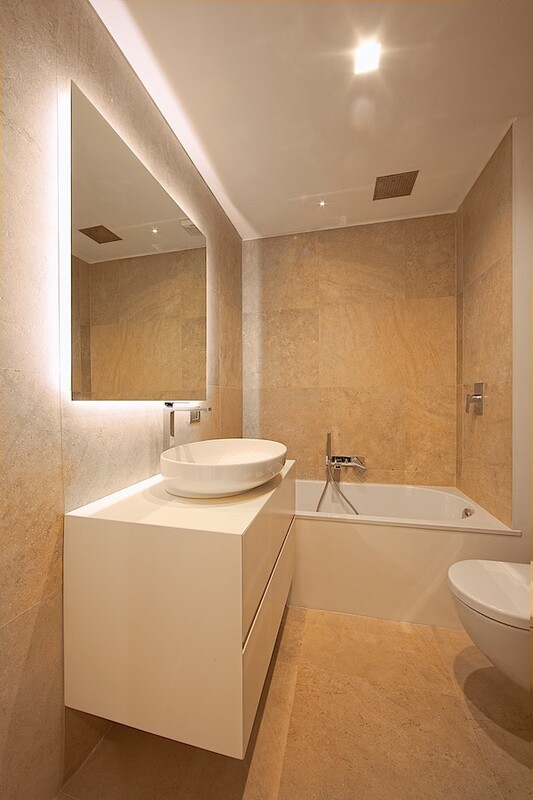 Great importance is given to the choice of lighting, which is studied in every detail.